Summer is the perfect time to enjoy a light, refreshing cocktail on the patio, deck, by the pool, or at the beach. This one is made with Sparkling ICE, so you can enjoy it free of guilt. In a large, sturdy glass, muddle together the mint and cherries until lightly-smashed. 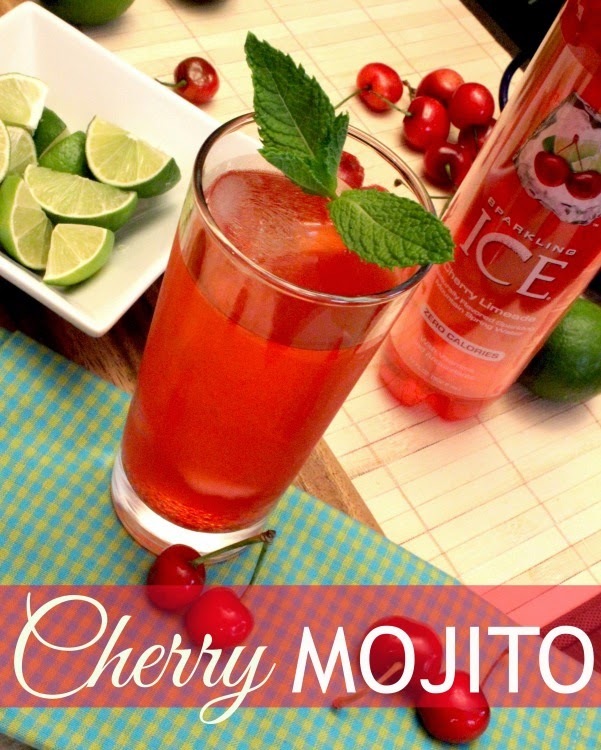 Stir in the rum and then top with Cherry Limeade Sparkling ICE over ice. Stir gently to mix. Add 2 or 3 cubes of ice. Garnish with fresh cherries, mint leaves, and lime slices. For more tasty cocktail recipes, you can view all my cocktail recipes here and visit my Cocktails Pinterest board.